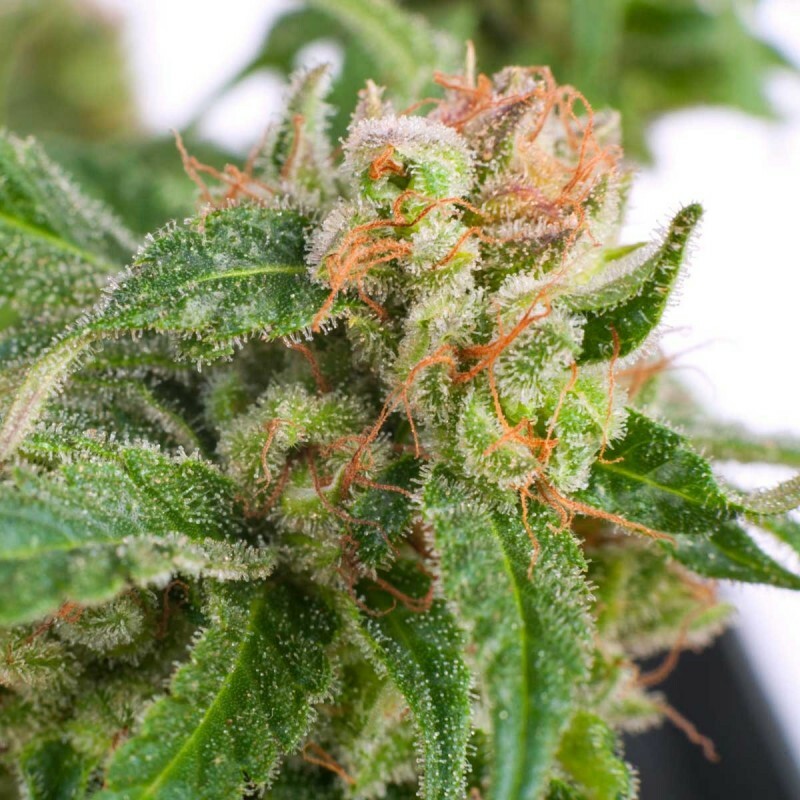 Original highway Delight feminized is a beautiful strong plant that is very mould and cold weather resistant and therefore very suitable for outdoor growing. Original Highway Delight is a typical Indica dominant plant; she is a short grower and grows in the well known typical Christmas tree form with wide big growing leaves that remind you of Big Bud's leave shape. Also the flowering time is shorter than most other kinds and that is perfect for such a tasty kind! The yield can be called average but still pretty high for such a small plant, the buds grow dense and tight, the structure has the famous fluffy look and the amount of resin gives that extra delicious appearance. The buds of Original Highway Delight taste sweet and earthy without burning your throat and after smoking or consuming the well dried buds you'll experience a high energetic feeling that lingers on through body and mind. You feel very comfortable and easy smoking. This is a typical Indica dominant cannabis plant, which grows short and mostly takes the shape of a typical Christmas tree that. The leaves are big and you actually recall our Big Bud leaves looking at the leaves of this marijuana plant. The short flowering period makes it more viable for bother commercial and guerrilla growers who get profits of their investment and effort much too early. The yield may not be as high as some of our other high yielding strains but Original Highway Delight compensates big time in terms of the effect and high that is provides. Apart from that smaller yield is understood given the short size of these plants.The buds are tight and dense to say the least and get the very popular fluffy look that everyone enjoys. The excess resin present in the buds gives them extra attractive appearance. These are great plants for outdoor growing as they can even survive in very low temperatures. The Indica dominant weed gives an equal amount of physical as well as cerebral high. It has an average THC level of 10-15% and its blooming period is 6 to 8 weeks. Growers can expect 375-475 gm/ square meter. The best month for harvesting this one is September. Original Highway Delight offers a very easy and comfortable weed smoking experience. The buds are very sweet and earthy in their taste and the smoke doesn’t burn your throat. The properly dried buds give a very strong energetic high that lingers through mind and body. How tall does this plant grow indoors in a tent? Can this grow in a tent?